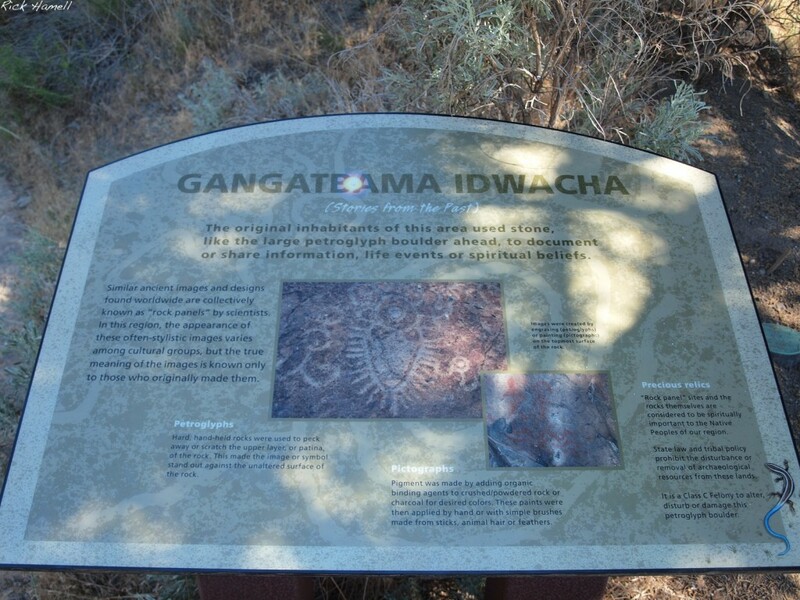 The Crooked River Petroglyph is located in The Cove Palisades State Park just outside of Madras Oregon. “In 1961, three years before Lake Billy Chinook was created, University of Oregon archaeologist Luther S. Cressman surveyed the three river canyons in this area. Of notable interest was this massive, engraved basalt boulder along the west bank of the Crooked River. 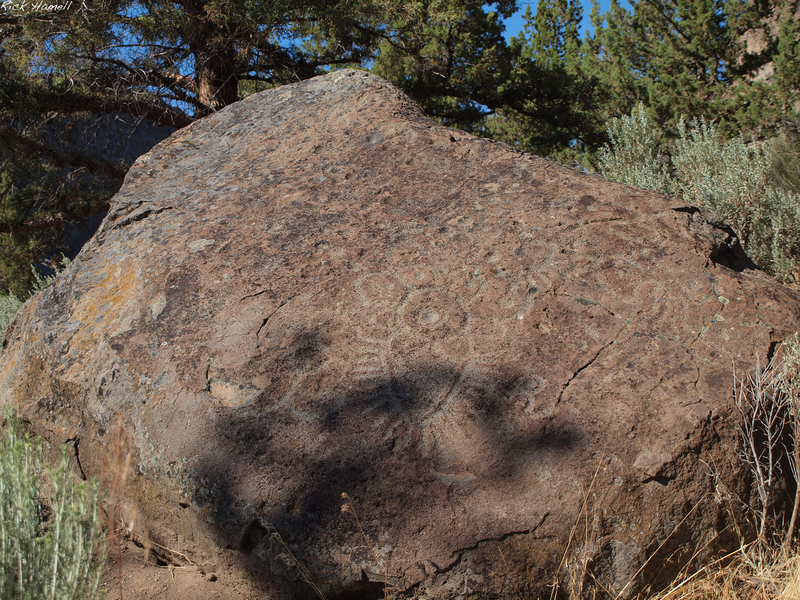 Because of its perceived historical value, the Crooked River Petroglyph was extracted in the winter of 1963 and placed at this site, approximately one mile from its original location, as a reminder of the area’s cultural history. 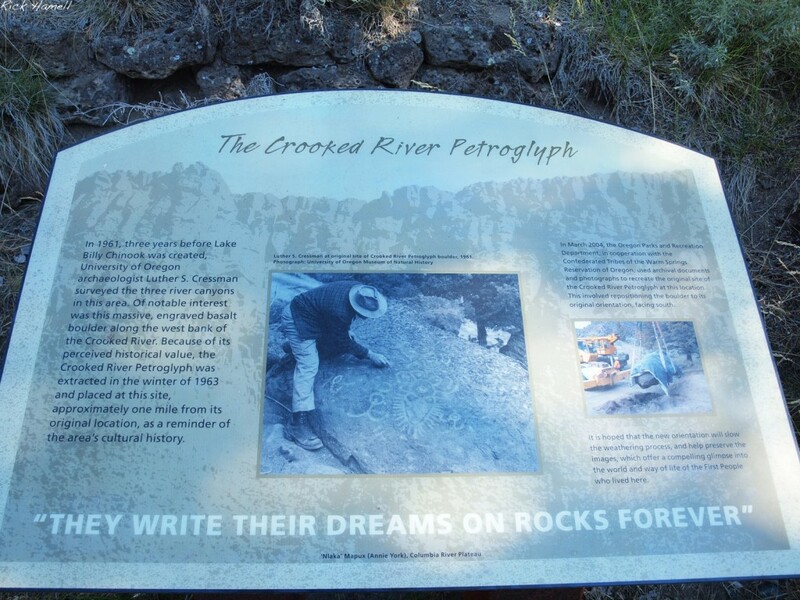 In March 2004, the Oregon Parks and Recreation Department, in cooperation with the Confederated Tribes of the Warm Springs Reservation of Oregon, used archival documents and photographs to recreate the original site of the Crooked River Petroglyph at this location. This involved repositioning the boulder to its original orientation, facing south.